The giant vessel en route from Asia or China to a port in the UK, Europe or North America has become one of the iconic images of the 21st century. Laden from bow to stern with huge containers, the progress of these ships is a reminder that much of the world’s manufacturing now takes place in factories in the east. And this has been good news for entrepreneurs. Crack open one of those containers and you might well find televisions on their way to John Lewis or laptops bound for shelves of PC World, but that’s not the whole story. From novelty mugs to the highest of high-tech gadgetry, the manufacturing powerhouses of Asia and China supply a vast range of goods to relatively small entrepreneurial businesses here in the UK. Some of these businesses simply import goods that have already been made direct from the manufacturer. For instance, an importer might buy 500 laptops for resale via a website or through a network of small retailers. Buying from the manufacturer keeps the cost low and allows the units to be offered at keen prices in the home market. Equally, the lower costs associated with overseas manufacture mean UK entrepreneurs have an opportunity to turn innovative designs into marketable products. And as Anna Lee Keeley, founder of children’s clothing company Baby Moo, explains, overseas factories not only tend to charge less than their UK counterparts, they will also agree to short production runs. Thus Keeley sourced her first order from China and has since gone on to use factories in India, Turkey and more recently Leicester, generating revenues of £70,000 last year via a number of sites, such as eBay. Of course, finding an overseas supplier is not necessarily simple. In Asia alone there are literally thousands of small and large factories and there isn’t an obvious way to draw up a potential shortlist of manufacturing partner, particularly as many don’t have websites. To address to this problem, some businesses use agents to source suppliers on their behalf. However, a simpler approach is to use an e-commerce platform such as Alibaba.com which is designed to put suppliers in touch with buyers. That was the approach taken by Sheridan Simove, founder of novelty goods company Ideasman.co.uk and video-based selling app Sellervision. Coming from an entrepreneurial family and with a background in television production, Simove was looking for an opportunity to harness his creative ideas in the service of a viable business plan. 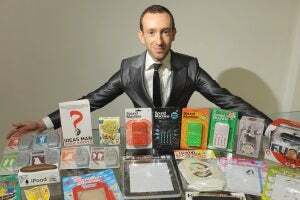 While working on the Big Brother television programme he came up with the plan of designing and marketing novelty items, starting with an adult themed sweet. Simove ran a search on Alibaba.com based on the product specifications. “Alibaba.com enabled me to find a manufacturer very quickly,” he says. As Simove acknowledges any search of this kind involves a certain amount of filtering. Once the Alibaba.com search has generated a list of potential suppliers the next step is to draw up a shortlist based on the quotes they provide before making a final decision. 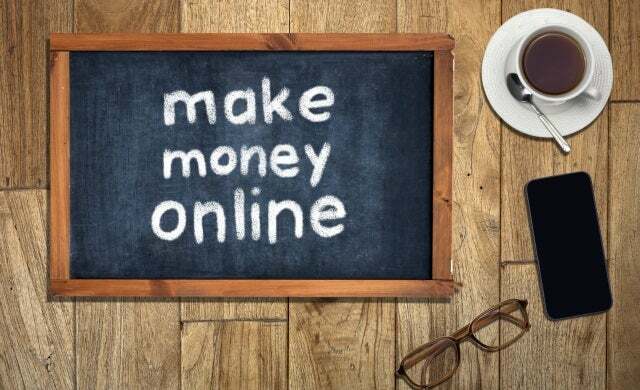 Simove also tends to deal with suppliers who have achieved gold standard status on the Alibaba.com site, an indication that they have a good trading record. The Alibaba.com platform offers additional protection in the form of ‘Trade Assurance’, essentially a guarantee that the buyer costs will be covered if the supplier fails to deliver on time or makes and sends goods that do not match the specification. As Kiran Tawadey, founder of Hampstead Tea and an Alibaba user observes, this additional level of assurance provides peace of mind. “We know we are going to receive the goods, we know when we are going to receive them and we know when we are going pay,” she says. Importing for resale can create cashflow problems, particularly for small businesses. If payment is upfront, then there can be a long gap (perhaps many months) between the money leaving the buyers account to pay the supplier and the first income from sales coming in. There are various financial solutions available from banks. These include trade finance deals under which the bank agrees to pay the supplier with the buyer repaying at a later date, once the goods have arrived. These in turn can be linked to invoice discounting or factoring when the goods are sold in the UK market, essentially ensuring the importer receives money as soon as the goods are sold on and the invoice raised. On the Alibaba.com platform, there are finance options provided by finance providers Ezbob and Iwoca. Embedded in the Alibaba.com platform both solutions allow businesses to access credit to fund their purchases. For instance, as Tomer Guriel, CEO of Ezbob explains those applying for loans go through a quick application process. “Once accepted, we handle the transfer of money to the supplier account,” he says. 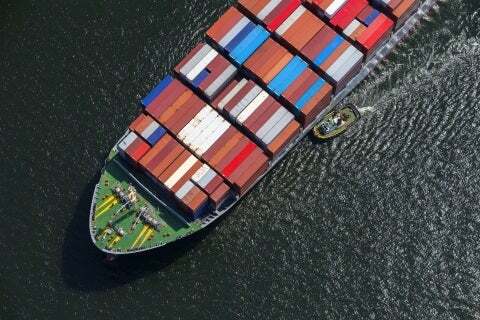 There are of course a range of financial factors to be taken into account, such as shipping and tariffs and Sheridan Simove notes, any importer must research the total cost ahead of any deal to avoid unpleasant surprises. Importing goods – especially made to order – is never totally straightforward and businesses must take care when vetting and choosing suppliers, monitoring quality and managing cash. But the facilities offered by overseas factories provide an opportunity to turn ideas into reality. Increasingly, e-commerce is making the process much easier.